ZIMBABWEAN music superstar Oliver Mtukudzi had to miss the London Jazz Festival last week after suffering from what organisers of the renowned international jazz extravaganza said was heart failure. 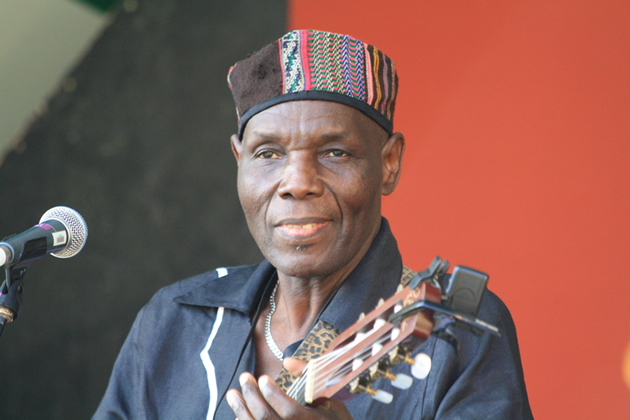 "Sadly Oliver Mtukudzi suffered heart failure this week and is in hospital in Harare. "He is stable and recovering, but won't be able to take part in this concert. We all wish Oliver a swift and complete recovery," the fest advised in a statement on its website. Tuku had been scheduled to take part in a segment of the festival titled, The Boy's Doin' It, a gig that featured the likes of Sibongile Khumalo, Selema Masekela and Masekela's old touring band. The gig went ahead on 18 November and received rave reviews from critics despite the absence of Tuku, a man who became one of his greatest partners in music in the years prior to his death. Tuku's manager Walter Wanyanya was not available for comment as he did not pick up his phone while he had also not responded to messages sent to his mobile phone at the time of going to print. The last time that the veteran musician had to cancel shows because of poor health was in February 2015, when he missed a show in Bulawayo where he was set to share the stage with South African musician Ringo Madlingozi. On that occasion, organisers of the gig and Tuku's camp had said that Tuku had been a no show due to his worsening diabetic condition, a condition he had been battling for 23 years. Tuku first confessed to suffering from diabetes in 2010, something that he went on to speak about half a decade later. "Mtukudzi should always be healthy to give them what they want, but Mtukudzi is a human being. Mtukudzi is a human being who catches diseases and falls sick like everyone else. "Of course I spoke about being diabetic back then because I was scared at the time. I didn't even know what being diabetic meant. Mtukudzi is not made of steel, he is a human being like you," he told local media back then.